The Amazon Fire TV Stick is a very inexpensive way to turn your standard TV into a professional quality digital sign. The Stick plugs into the HDMI port and connects to the internet using WiFi. 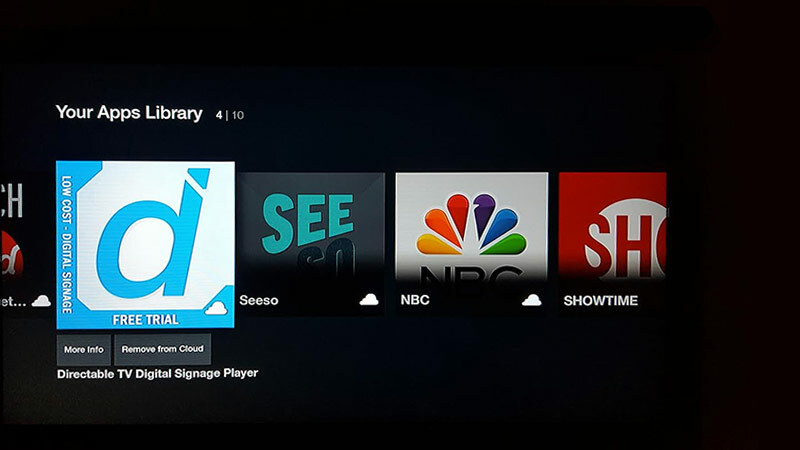 To get started, buy a Fire TV Stick and plug it into your TV. You can pickup a Fire TV stick directly from Amazon. You can find the application here If you haven’t setup your Fire TV Stick, choose to “Deliver to:” Cloud Only. If Fire TV is listed, select that device as your “Deliver To”. 2. 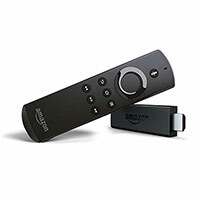 Start your Amazon Fire TV Stick and connect to your WiFi and login to your Amazon account. Scroll to the right. You will see the Directable Free trial icon. Select the app and install it. When the Directable player is installed the slides will start playing. 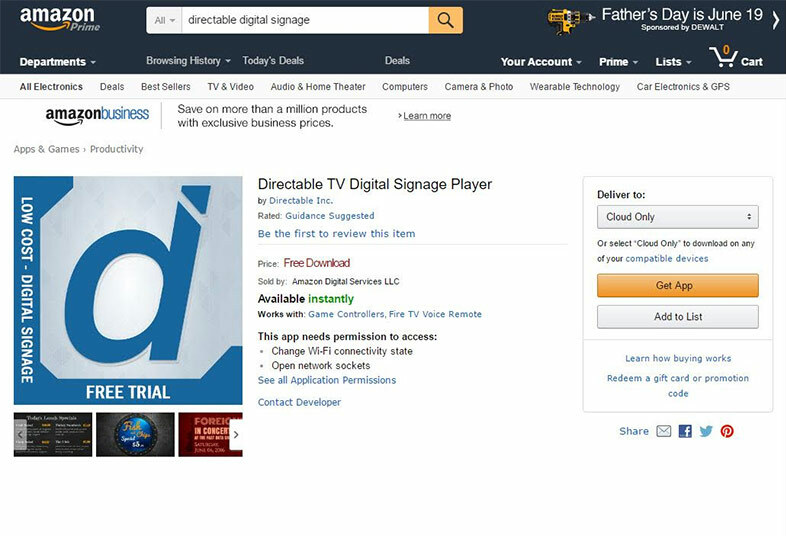 If you already have a Directable cloud account, login to your account at www.directable.com/login go to TVs, Add a New TV and enter the 4 digit code shown in the lower right of the example slides. If you don’t have a Directable cloud account, go to www.directable.com/signup to get a Free Trial. You can then add the code to the Add New TV area.